If you could flash back in time to the small Ugandan village of Wanteete, you might see a gaggle of children on their daily trek, five miles from home, to school. No one seems to stand out in the crowd, until they reach the classroom. That’s where Aaron Bukenya rises head and shoulders academically above the other students. Aaron’s parents were subsistence farmers who didn’t have much money or education, but they did have a vision for their smartest son. So began Aaron’s journey from the rural village to the big city—Kampala, Uganda’s capital, where Aaron lived with his uncle and received an education from high school through university that opened his eyes and his heart. That realization helped shape Aaron’s plans for his future after college graduation. He could make a very comfortable living as a teacher and social worker in Kampala. But after working in city schools for a few years, Aaron found himself itching to do more. In 2008, armed with his education and experience as a teacher, Aaron became a salesman for his promising new idea. He was able to persuade schools in Kampala to offer half scholarships to 350 students from several rural villages, including his home village of Wanteete. Two years later, Aaron invested his entire savings of $2,500 to formally institute his fledgling organization, the Bugerere Education Support Organization (BESO Foundation). 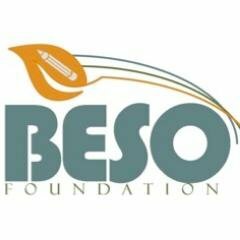 Based in his home village, BESO is a grassroots, non-profit organization with a family-centered approach, serving disadvantaged children and women in rural areas of Uganda by providing access to quality education, health services and economic empowerment. Due to the human toll taken by factors such as civil war and HIV, 90% of women living in rural areas of Uganda are the sole support of their families. That’s why BESO places children and small-scale women farmers first. Since its founding, BESO has provided 2,600 children access to quality education and implemented agriculture and business training initiatives to over 2,400 rural women farmers in Bugerere County. As a result families are better able to keep children in school, ensure food security, increase incomes and achieve higher standards of living. To that end, in 2011, BESO joined with 80 mothers from Aaron’s village to start the first school in Wanteete. Today, the St. Mark School educates hundreds of local students who no longer have to walk five miles every day to get to school. Aaron shares a saying that sums up his conviction and his vision for enhancing the lives of others. Aaron holds a BA in Education and certificates in Project Planning and Management, as well as Development Studies. Prior to founding BESO, he headed the Physics and Mathematics Department at Kingstone High School in Kampala. Aaron was named a 2016 Cordes Fellow and a 2017 Segal Family Foundation African Visionary Fellow.